Tha Riaghaltas na h-Alba air a ràdh gun gabh iadsan uallach seirbheisean nan aiseag ma dh'fhàilligeas a' chompanaidh ris a bheil an t-seirbheis an urra. Thuirt Rùnaire Còmhdhail na h-Alba, Derek MacAoidh, cuideachd ma bhitheas a' chompanaidh a bhios a toirt seachad na seirbheis a' dèanamh prothaid mì-reusanta gun tèid an subsadaidh aca a ghearradh dhà rèir. 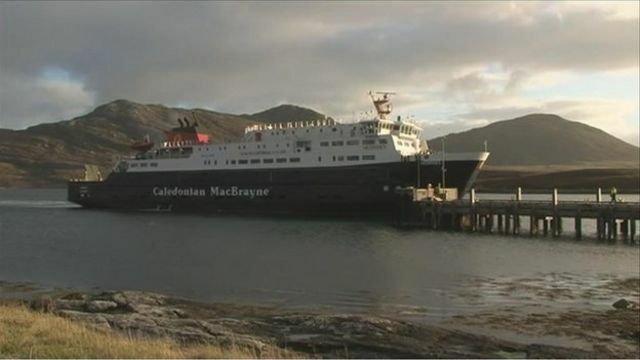 Tha seo a' tighinn as dèidh ceasnachadh sa Phàrlamaid co-cheangailte ris an t-seirbheis a bhith a' dol gu tairgse, agus dìreach dà chompanaidh, CalMac agus Serco, a' farpais airson a' chùmhnant. Tha Aonghas Dòmhnullach ag aithris.